House on the northwest corner of SW Corbett Avenue and SW Seymour Street, 1973. 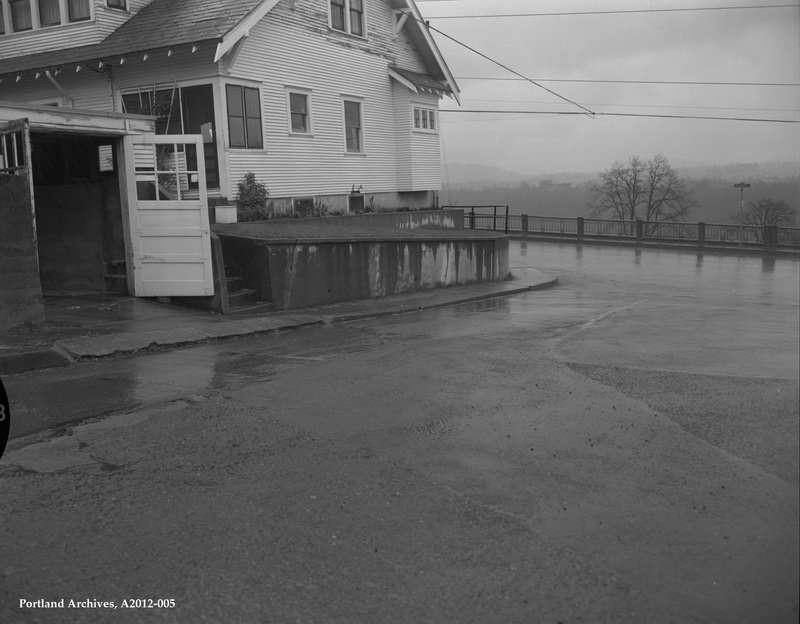 City of Portland (OR) Archives, House at the Northwest corner of SW Corbett Ave and SW Seymour St, A2012-005, 1973. 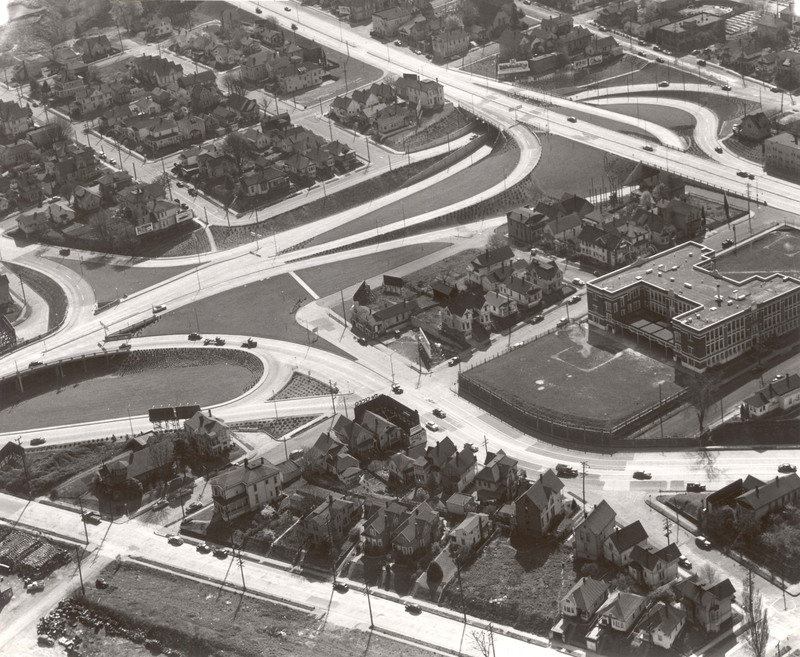 To finish our little odyssey along SW Lowell Street, we see how the northwest corner of Lowell and SW Corbett looked in 1939. We’re missing the streetcar tracks today but otherwise it looks much the same. Looking west at SW Barbur Blvd, Slavin Road no longer snakes down from the north to meet on the east side of the highway, but Capital Highway still comes down the hill from the west. 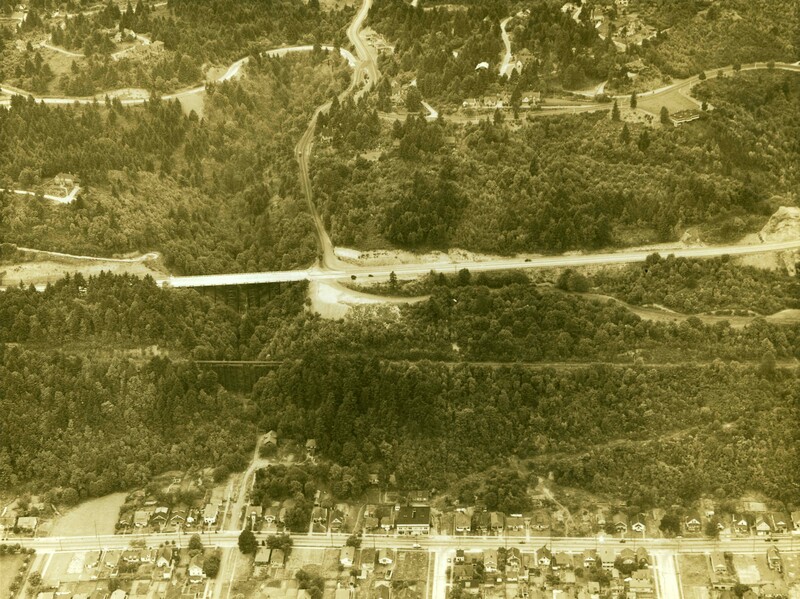 The Chart House restaurant is on Terwilliger Blvd in the upper right, the I-5 freeway now runs along the old railroad right-of-way just east of Barbur, and SW Corbett Ave slices across the bottom of this 1932 photo. 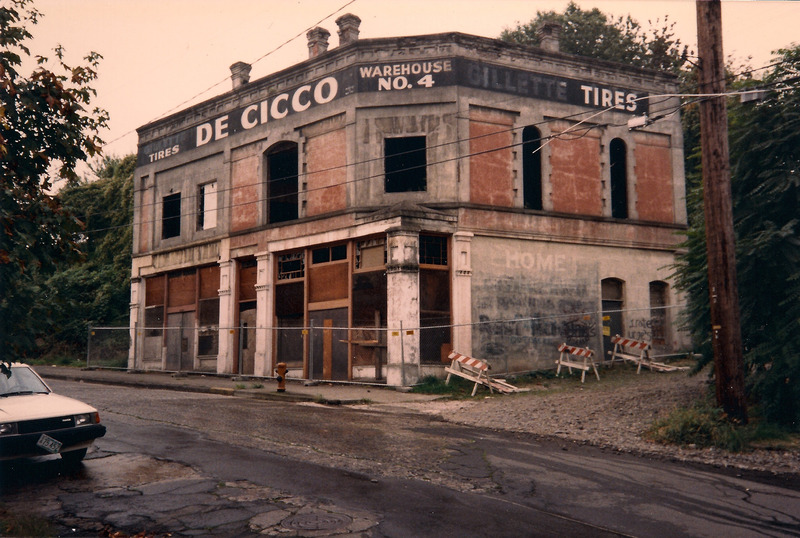 The De Cicco Warehouse No. 4 looks like it has cast-iron columns along its front side. It’s unusual to find cast-iron details this far from the downtown core but this old warehouse stood on the southwest corner of SW Corbett Avenue and Baker Street at least into the 1980s. 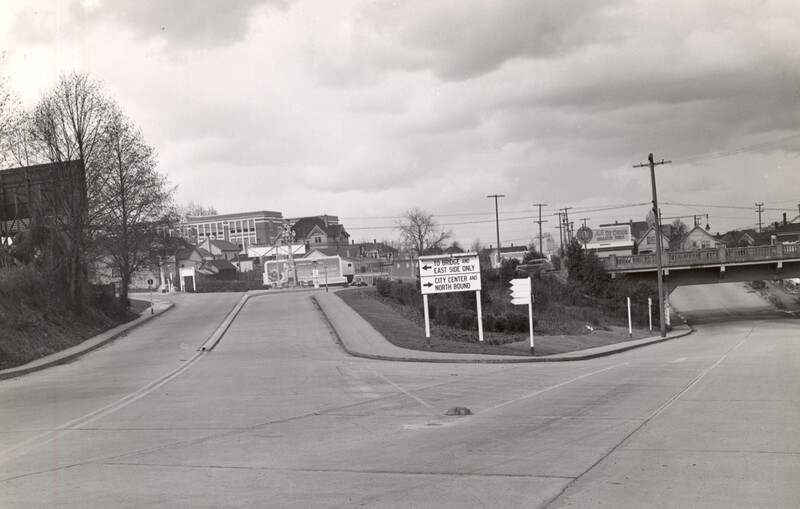 The 1931 Greyhound Bus garage is just out of frame to the right. 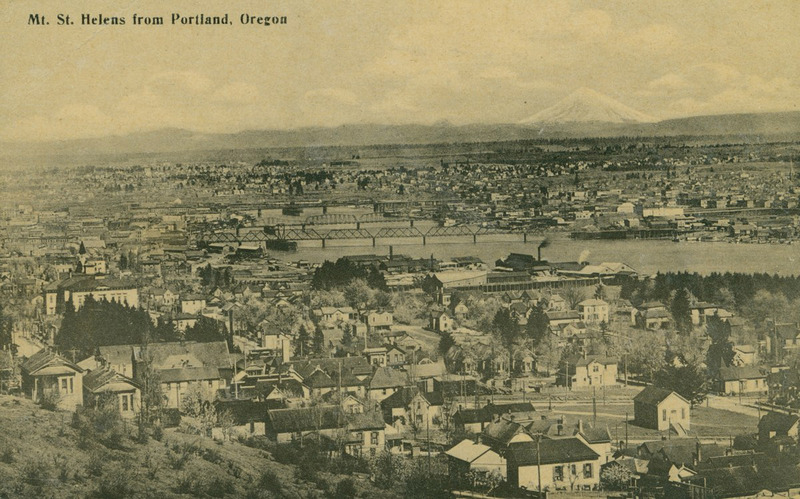 This is a very nice early photo of Portland’s Corbett/Lair Hill neighborhood with the Willamette River, Northeast Portland and Mt. St. Helens forming a backdrop. I believe the large house (actually a duplex) just beyond the mostly-empty block with the small house at lower right is still in existence, one lot north of the corner of Water Ave. and Whitaker St. The big building at center left is probably the original Failing School. Finishing the year at a Vintage Portland fan favorite spot, the west end of the Ross Island Bridge, circa 1952. This view, looking southwest, shows what appears to be newly installed on- and off-ramps and connectors to Harbor Drive at the top. All the houses at the bottom of the photo are gone, as are all but four immediately beyond Failing School at right-center. I-5 now cuts along the bottom left corner. 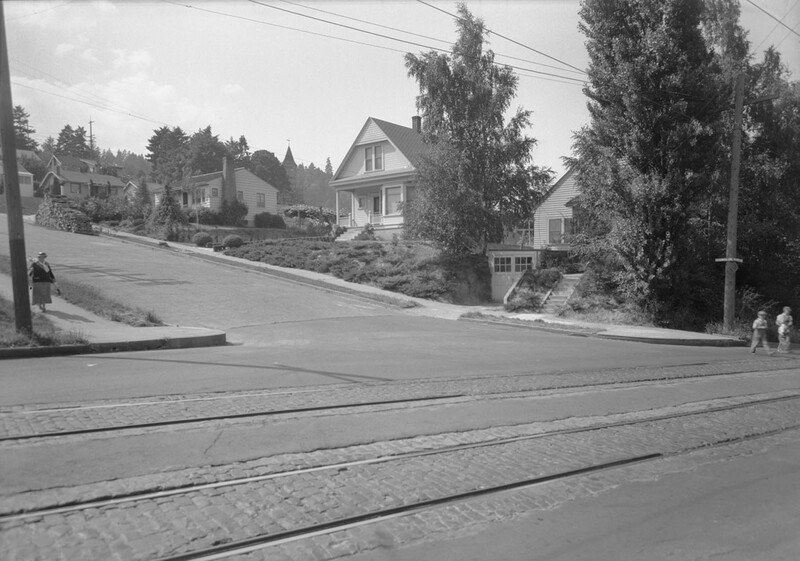 Compare with this view of the same area from 20 years earlier.